From a refill hogshead with cask number DL9432 comes 259 bottles. 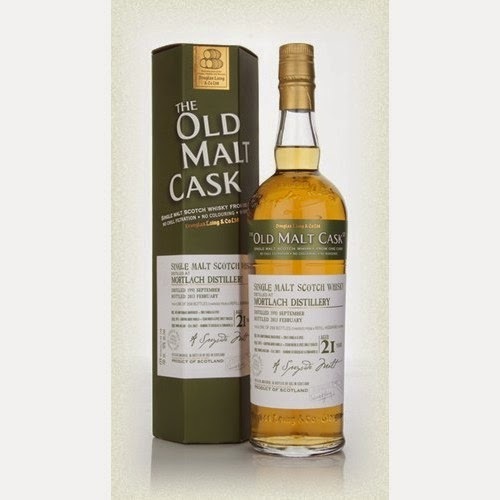 It is a part of Douglas Laing´s series Old Malt Cask. Marzipan sweetness, dried dark fruits and petroleum on the nose. I could smell to this for days. The taste is very nutty at first. Figs and dates, and in the finish the sherry notes continuous and some dried fruit sweetness start rushing in. Leave it in the glass for a while, and the sherry and sweetness becomes more and more predominant. This is great and you get some more or something new for every sip you take. It would be more than a date to sit with this whisky a night in front of the fireplace! I will rate this 92/100 (23/23/23/23).